An Exclusive, Private Network for Worship Leaders who Expect Great Things From God and are Willing to Attempt Great Things for God! The Renegade Worship Pastors network is a group of passionate, cut-against-the-grain, discontent-with-average, motivated-for-ministry, what-are-we-waiting-for Worship Leaders who want to have a growing and healthy ministry and personal life. A little “ministry gold” would have gone a long way toward preventing some serious stumbles and pain. 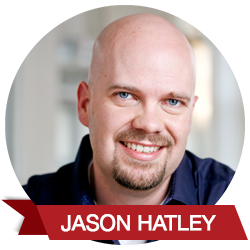 So – when I started Worship Leader Insights in 2006 . . . when I released my first resource . . . started my first Coaching Network . . . wrote my first article and had my first book published . . . I did so with the idea of sharing the systems, principles and ideas that God has blessed in over a decade of “hand-to-the-plow” ministry at The Journey in one of the most difficult areas of the country. And that’s exactly what the Renegade Worship Pastors Network is about. The RWPN LIVE MONTHLY UPDATE AND LEADERSHIP BRIEFING. At the heart of the network is a monthly update and briefing from me via LIVE Conference Call. 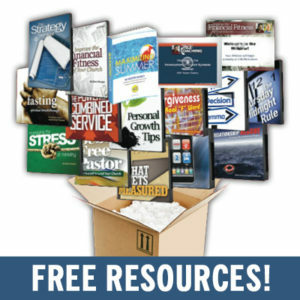 This monthly “pastor to pastor” call (which will be recorded on MP3 for your library) will be a personal, practical, packed-with-content training where I will challenge you, enlighten you, equip you and guide you to maximize your next season of ministry.With the Worship Leader Gold Monthly Update and Briefing, you’ll always be one step ahead in your planning and fully inspired and equipped to lead your worship ministry at the highest level ($199.00 per month value). Monthly Equipping Interview/Conference Call – with me, Nelson Searcy, one of our mentors, a noted author or ministry leader – previous interviews include Steve Stroope, Larry Osborne, Patrick Lencioni, Bruce Wilkinson, and more. Listen live when you can, and you’ll receive an MP3 recording each month ($195.00 per month value). Monthly bonus mail package to help you stay on track and ahead of the calendar. This monthly kit will be mailed to you, including articles, transcripts, members-only opportunities, event invitations and more! NEW – Book Summaries for the duration of your membership. Your RWPN membership includes a complimentary subscription to the leading executive summary service for pastors for no extra charge ($379.00 per year value). RESTRICTED ACCESS Online Membership Site/Blog/Resources ($99.00 per month value). You’ll have instant access to all your RWPN benefits, documents, recordings, etc. in your online Worship Leader Gold hub. Continually Updated RENEGADE WORSHIP PASTOR RESOURCE DOCUMENTS AND DIRECTORY ($399.00 per month value). If there’s a document that we use at The Journey or that is shared by someone else in the network (and I think its helpful) I’ll share it with you. NETWORK ONLY rates on Coaching Networks and Advanced Coaching Networks ($141.00 per month value). As a Renegade Worship Pastor, you’ll be able to enter a future 12-Month Worship Pastor Tele-Coaching Network or put a staff member through one of our other networks at the lowest possible rate. SIGN UP NOW FOR THE RENEGADE WORSHIP PASTORS NETWORK! Yes Jason, let me in NOW. I’m ready to join the Renegade Worship Pastors Network for just $99 per month (that less than 1/3 the investment of a normal coaching network) and receive over $813.20 in FREE Bonus resources immediately!